Being a group hinges entirely on whether the L factor is 1, and Lorentz tried to prove this in 1904 but his attempt was convoluted and not persuasive. Poincare said in his 1905 summary that L must be 1 because that's what's needed to be a group, which he said was a different proof than Lorentz's, but in his full 1906 paper he walked this back, having realized (or been told, perhaps by Lorentz?) that you can't prove it's a group by assuming it's a group. So in 1906 Poincare just presents the full transformation, with indeterminate L, and then says if L=1 they form a group, but doesn't offer any proof that L=1. Einstein easily proved L=1 by isotropy, so the transformations form a group. Of course, he presented the tran in standard form along x axis, but with the understanding that this can be composed with spatial rotations (which obviously form a group) to give Lorentz trans in any direction, so they all trivially form a group, given that the parallel boosts do. On covariance, you are conflating general covariance with Lorentz covariance. The issue in 1905 was full Lorentz covariance, which Lorentz failed to achieve, and which Einstein achieved in his 1905, and which Poincare (correcting Lorentz) described in 1906, but only for Lorentz's local coordinates. Please note that the issues involving general covariance that occupied Einstein during the development of general relativity in later years are different. We're talking here about Lorentz covariance. "Einstein always claimed that he had not seen Lorentz's 1904 paper, but no one believes him." No one? The literature abundantly contradicts your claim. Many scholars accept Einstein's recollection about this. Indeed there is internal evidence that Einstein never did read Lorentz's 1904 - at least not carefully. "He was even cagey about whether he had read Lorentz's 1895 paper." Not true. He plainly said he had read Lorentz's 1895 paper. "Poincare showed covariance of Maxwell's equations... Minkowski was much more explicit about it in his 1907 paper..."
As Einstein later said, Minkowski's contribution was to give a formalism that makes Lorentz covariance of a physical law manifest. No new physics, just a very useful mathematical formalism. "Minkowski was much more explicit about it in his 1907 paper that cites Poincare's Palermo paper." Your words there imply that Mikowski cited Poincare for the formalism, but you know that he did not. "The Lorentz group and the covariance of Maxwell's equations are right at the core of what we call special special relativity..."
But you've missed the big picture. The second part of Einstein's paper (on electrodynamics) was just an example. The first part (the kinematic part) showed that Lorentz covariance applies to everything, not just electromagnetism. Einstein shows that the Lorentz transformation transcended its connection with Maxwell's equations (which he already knew could not claim complete validity, due to photo-electric effect, etc). This is because Einstein wasn't describing a theory of the ether in Galilean space and time (as Lorentz and even Poincare were), he was describing a theory of the fundamental measures of space and time. "and these concepts are almost entirely due to Lorentz, Poincare, and Minkowski... Einstein contributed nothing to these concepts..."
I think if you study a bit more your opinion will change. I did not mean to imply that Minkowski credited Poincare for anything substantial. Minkowski tried to hog all the credit for himself. I just meant to show that Minkowski read and relied on that Poincare Palermo paper, even if no one else did. I thought that I read somewhere that Einstein used a library that subscribed to all the major journals, including the one with Poincare's 1905 short paper. But I do not have the reference. Yes, Einstein gets credit for getting L=1 and other formulas correct. He just did not advance the field any, as Lorentz and Poincare had already come to that conclusion. On covariance: If the fields are properly presented as tensors, then a spacetime transformation like a Lorentz transformation implies a transformation of the fields. That is what allows special relativity to be a spacetime theory. Minkowski explained this clearly. Poincare was not so clear about it, but that is what he was doing. Einstein just did the same thing Lorentz did. Yes, Einstein has sections on kinematics, where Lorentz transformations change space and time. But how is that any difference from what Lorentz said? What was new? Lorentz's transformation changed space and time also. I will post on the aether separately. The banal cite proves he read it, but the absence of any substantive cites does not support that "he relied on it". The hyperbolic rotations, invariant quadratic form, and sqrt(-1) are all things that someone like Minkowski was very well prepared to notice on his own, as could any other competent mathematician. Look, when Heisenberg discovered quantum mechanics with the mysterious (to him) recipe for multiplication of operator arrays, and his advisor Born said "Hey, that's just matrix multiplication", did we say Born discovered quantum mechanics, and Heisenberg contributed nothing? That's just as absurd as your claim that Einstein contributed nothing because other showed it could be expressed in a 4D formalism. > had already come to that conclusion. No, Lorentz had not given a satisfactory proof of L=1 in 1904, and Poincare didn't in 1906 (he just assumed it). Einstein did in 1905. > implies a transformation of the fields. The use of tensors is not essential. That's just a math tool. Newton used synthetic geometry to derive his results in Principia and found modern science. 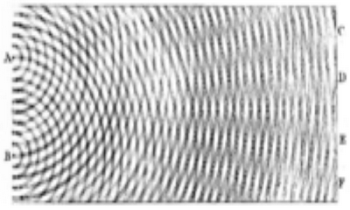 Einstein's 1905 was the first to show the Lorentz covariance of electrodynamics, as an example of how the new kinematics allows us to determine the behavior of any physical system in motion if we know its behavior at rest. The "this" here is the 4D formalism (like Born's matrices). Yes, Minkowski explained this formalism clearly. Poincare didn't. By the way, Minkowski, not a physicist, concludes with the words "The validity of the world postulate is... the true nucleus of an electromagnetic image of the world..." You see, he was still thinking of the electromagnetic theory, not realizing that there must be other forces, and that the kinematics apply to all. > Einstein just did the same thing Lorentz did. Both Einstein and Lorentz strongly disagreed with that opinion. To the end of is life, Lorentz did not endorse the Einstein's radical spacetime approach, although he said we should be grateful that Einstein held to that radical view, because otherwise he would never have conceived of his beautiful theory of gravitation. Lorentz still believed that inertial coordinate systems are related by Galilean transformations, even after he added to his long list of assumptions the final assumption that mechanical inertia itself must be Lorentz invariant. At that point he should have realized the implications, but he didn't. He clung to the idea of an absolute true time foliation, partly (as he admitted in a letter to Einstein) for spiritual reasons. You can read about this in any good book on the history and foundations of relativity. Whenever there is a big advance, there can be disagreements as to how much to credit the experimentalists, theorists, and mathematicians. You seem eager to discount the mathematical work. Okay, that is fine, but Einstein's work was trivial in all three views. He did no experiments, and paid little attention to experimental results. His work had no theoretical consequences over what Lorentz did. And his math was simplistic and narrow compared to Poincare's and Minkowski's. Einstein took Lorentz's principle that the speed of light is constant and Poincare's relativity principle, and showed that the Lorentz transformations could be derived from those. This is essentially a mathematical result of little significance, except that some found it to be an appealing way to tie together some known principles. That's all. If he had called it Lorentz's theory and written a textbook, he would only be credited with a novel expository presentation of existing theory. Your comments are bewildering. The simplicity and clarity of Einstein's approach is part of what made his contemporaries see it as so brilliant. The objectiue here is not to exhibit mathematical virtuosity, it is to discern the simple principles and symmetries of nature. 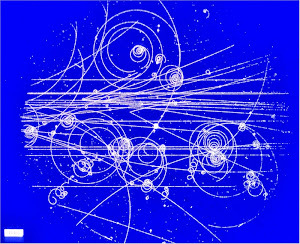 As Born said, the studies of the electron and electrodynamics had devolved into a baroque thicket of excessively complicated mathematics leading no where, and Einstein showed that all the questions could be answered and conflicting principles reconciled, not just for electrodynamics, but for all physical phenomena, by just elementary reasoning about the actual meanings of our measures of space and time. This led directly to the modification to Newton's laws of mechanics as described in Einstein's paper. This is why his contemporaries recognized that "A new Copernicus is born!" Ironically, in Poincare's 1906 paper he prophesized that just such a thing might happen. It appears to me that you aren't looking at either the actual scientific papers or the historical record objectively. The reasoning in Einstein's papers, both on relativity and on quantum theory, was so impressive to his contemporaries that he was catapulted from the Swiss patent office to the front ranks of the world's physicists, with an appointment to the new institute created for him (at the urging of Planck, Nernst, and others) at Berlin in 1914. Your claim that he was just composing expositions of other people's ideas is grotesquely perverse. By the way, in his 1905 paper he DID call it Lorentz's theory ("we have the proof that, on the basis of our kinematical principles, the electrodynamic foundation of Lorentz's theory of the electrodynamics of moving bodies is in agreement with the principle of relativity"). By 1914, relativity had made it into textbooks, and Poincare and Minkowski were dead. If Belin wanted to hire a relativity expert, then Einstein was a reasonable choice. Maybe Planck and Nernst did not understand what Poincare had done, and thus overcredited Einstein. Those textbooks probably had a simplicity and clarity that was better than Einstein's, so the readers were impressed with the theory. My question: Why the eagerness to overcredit Einstein, such as by calling it Einstein's relativity, while denigrating the contributions of Lorentz, Poincare, and others? No one says "Heisenberg's quantum mechanics" and badmouths the work done by others. This is no comparable situation in the history of science. The record shows that these pieces were done by others: Michelson-Morley experiment and analysis, FitzGerald contraction, Larmor time dilation, Lorentz transformation, relativistic mass, local time, Poincare synchronization, constant speed of light, relativity principle, rejection of aether motion, Lorentz corresponding states for Maxwell's equations, 4D spacetime, 4-vectors, 4D tensors, electromagnetic covariance, world lines, interpretation as a measurement theory, invariants of the Lorentz group, relativistic gravity, etc. To credit Einstein, you have to somehow concede that all these parts were done by others, but there was some magic step that Einstein did that was more important than all those other things. What was that? At best you can say that he simplified Lorentz by replacing some deductions with postulates, or that his exposition influenced Planck and others, or that he independently rediscovered what others had already published, or that his paper was more accessible because he postponed Maxwell's equations until section 6. By my count, Einstein mentioned Lorentz 3 times in his famous 1905 paper. "Maybe Planck and Nernst did not understand what Poincare had done, and thus overcredited Einstein." But by now your thesis is in shambles. It wasn't just Planck and Nernst, it was Rubens, Warburg, Laub, Born, Laue, Sommerfeld, Wein, Stark, Larmor, Lorentz, Minkowski, Loria, Witkowski, etc., and even Poincare himself. Your thesis is that Einstein was not perceived by contemporary physicists to have made an important and original contribution, even though every contemporary physicist explicitly said that they perceived Einstein to have made an important and original contribution. Surely it's time to retire this thesis. Thanks to his papers in theoretical physics, Einstein already achieved a worldwide reputation at a young age within the circle of scientists working in his specialty. His name became most widely known thanks to the principle of relativity, laid down in his famous paper on the electrodynamics of moving bodies (1905), according to which the contradiction between Lorentz's otherwise extremely well proved theory of the stationary ether and the experimentally verified fact that electrodynamical-optical processes involving terrestrial bodies are independent of Earth's motion has its radical explanation in the circumstance that an observer moving with the Earth uses another way of measuring time than an observer at rest in the heliocentric system. The revolutionary consequences of this new conception of time, which extend to the whole of physics, first of all also to mechanics, and beyond that deep into epistemology, were subsequently formulated by the mathematician Minkowski in a way that gives the whole system of physics a new unified character, in that the dimension of time appears in it as completely equivalent with the three spatial dimensions." Should Poincare's 1906 paper be mentioned here? Minkowski said he was shocked when he saw Einstein's paper, because it scooped him of the great discovery, even though he had been working on a 4D formulation of Lorentz's theory for a few years. He was not shocked by Poincare's paper. "No one says Heisenberg's quantum mechanics"
Huh? Heisenberg is fully acknowledged as the first discoverer of quantum mechanics. "..there was some magic step that Einstein did..."
Right, Einstein was the first to recognize clearly that inertial coordinate systems are related by Lorentz transformations, not Galilean transformations. This was revolutionary. You can dress it up in 4D formalism, but the fundamental insight was Einstein's. So Planck and Nernst exaggerated a little to get Einstein into 1913 Berlin Academy of Science. Specifically, this letter seems to credit Einstein for inventing local time for the purpose of resolving the contradiction between Lorentz's theory and the Michelson-Morley experiment. And that this was important until Minkowski figured out a much better way to do it a couple of years later. Do you really want to defend this? They are crediting Einstein for what Lorentz did in 1895. That Lorentz paper resolved most of the contradiction, with the second-order effects being pointed out by Poincare, and resolved by Lorentz in 1904. Lorentz got the Nobel Prize in 1902 for his electrodynamics, and the nomination (tho not the award) specifically cited inventing local time to resolve this contradiction. In a literal sense it is true that Einstein's "name became most widely known thanks to the principle of relativity, laid down in his famous paper on the electrodynamics of moving bodies (1905)". But Einstein was just copying this principle, as articulated by Poincare and Lorentz during 1895-1904. What you don't have is someone acknowledging what Lorentz and Poincare did, and explaining how Einstein did something original or better. Yes, Heisenberg is credited, along with others. But people do not personify the theory with Heisenberg the way they personify relativity with Einstein. "So Planck and Nernst exaggerated..."
It seems to me there are three legs to your anti-Einstein stool, first that his contemporaries didn't perceive any original advance in his writings, second that modern scholars don't perceive any significant original advance in his writings, and third that the writings themselves show that Einstein made no significant original advance. The first leg of the stool has been demolished, by exhibiting quotes from many of the most well-positioned physicists of the day. ("Read Einstein's paper! A new Copernicus is born!") But in every case, you simply dismiss the evidence, with an excuse like "well, they were just exaggerating", or "well, they didn't really mean it", or some such. The third leg of your stool is that the actual papers show that Lorentz (1904) was Ptolemy, Einstein (1905) did nothing, and Poincare (1906) was Copernicus and made the crucial breakthrough to special relativity, with some subsequent elaboration by Minkowski (1907), who tried to hog the credit. This stool is shown to be wrong by examining the actual papers. The crucial insight was that inertial coordinate systems are related by Lorentz transformations, which Einstein (1905) clearly shows, but which is absent from Lorentz's 1904 and from Poincare's 1906. So, it appears to me that your anti-Einstein stool has no legs at all. "...cited inventing local time to resolve this contradiction." But Lorentz's view of local time is specifically NOT special relativity. He said himself "The chief cause of my failure was my clinging to the idea that the variable t only can be considered as the true time, and that my local time t' must be regarded as no more than an auxiliary mathematical quantity. In Einstein's theory, on the contrary, t' plays the same role as t."
This was the key step from Ptolemy to Copernicus. > how Einstein did something original or better. Well, this is a complicated historical question, because the "theory of relativity" that first became popular throughout the world was general relativity with the eclipse expedition, etc. Despite the obvious canards that you will undoubtedly trot out (Riemann, Grossman, Hilbert, blah blah blah) every serious scholar, and every contemporary physicist, knows (and knew) that general relativity was Einstein's theory (even though it arguably isn't a theory of relativity at all, but that's a separate discussion). Also, even for special relativity, Einstein's 1905 papers (June and Sept) followed by some 1906 and 1907 papers, especially on the momentum flows of energy, were so thorough and comprehensive that they were perceived as forming a completed axiomatic "system", from which many theorems could be derived, but the system itself was perceived as complete. With quantum mechanics, Heisenberg's first paper after his bout of hay fever wasn't such a mature presentation of a completed system. This shouldn't be surprising, because Einstein's theories were the *completion* of classical physics, whereas Heisenberg's was just the initiation of non-classical physics. Newton's physics was really the culmination of many insights of predecessors and successors, but we still refer to Newtonian physics. Get over it.